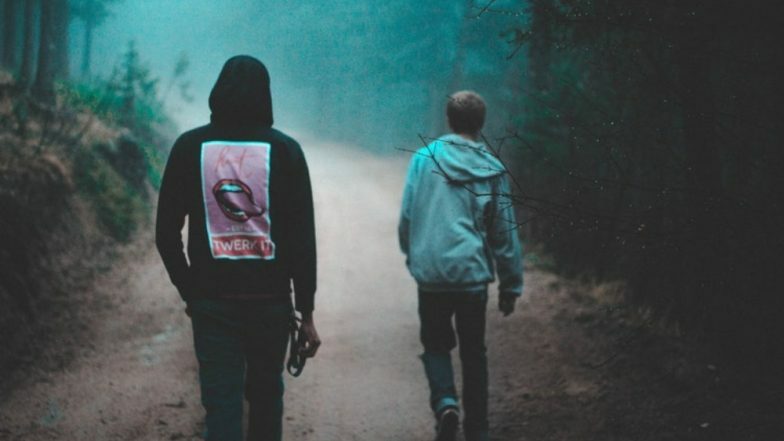 Washington D.C., Mar 23: A recent research has revealed that teens who prefer solitude may know what is best for them and solitude isn't a red flag for isolation or depression. The study was published in the Journal of Adolescence. The key factor is choice, said researchers at the University of California, Santa Cruz, and Wilmington College. When solitude is imposed on adolescents and young adults, whether as punishment or as a result of social anxiety, it can be problematic. But chosen solitude contributes to personal growth and self-acceptance, they found. "Solitude has gotten a lot of bad press, especially for adolescents who get labelled as social misfits or lonely," said Margarita Azmitia, professor of psychology at UC Santa Cruz and co-author of a new paper in the Journal of Adolescence. "Sometimes, solitude is good. Developmentally, learning to be alone is a skill, and it can be refreshing and restorative. "Most previous studies confused solitude with loneliness or shyness, said Azmitia. Loneliness Increases Early Death Risk in Heart Patients. "There's a stigma for kids who spend time alone. They're considered lacking in social skills, or they get labelled 'loners,'" she said. "It's beneficial to know when you need to be alone and when you need to be with others. This study quantifies the benefits of solitude and distinguishes it from the costs of loneliness or isolation. "Virginia Thomas (PhD, '17, psychology), assistant professor of psychology at Wilmington College, spearheaded the research as a graduate student in Azmitia's lab, where she developed a specialisation in the role of solitude in identity development and emotional wellbeing. Instagram is Changing Millennials' Lifestyle! Ways How Social Media App is Controlling Your Behaviour. When adolescents and young adults choose to spend time alone, solitude can provide an opportunity for self-reflection, creative expression, or spiritual renewal. But it can be challenging when it is imposed on them--when they opt out of social engagement because they lack friends, feel awkward, experience social anxiety, or are being punished, said, Thomas. To distinguish between these motivations, Thomas and Azmitia developed a 14-item survey that asked respondents to rate their motivations for solitude on a four-point scale, posing questions like, "I feel energised when I spend time by myself," and "I enjoy the quiet," versus "I feel uncomfortable when I'm with others," and "I regret things I say or do when I'm with others." "We got clear results that are pretty reliable indicators of adaptive versus maladaptive solitude," said Thomas. Those who seek solitude because they feel rejected or want to retreat into isolation are at greater risk of social anxiety, loneliness, and depression, and they tend to have lower levels of identity development, autonomy, and positive relationships with others. In contrast, those who seek solitude for positive reasons, such as self-reflection or a desire for peace and quiet, face none of these risks. Today's fast-paced, device-driven culture emphasises being connected to friends and associates 24/7, and young people have little practice learning to manage their time alone productively. Travel Tip Of The Week: Travelling Alone? Things To Keep in Mind Before a Solo Trip. Imposed solitude is more problematic for adolescents, who often worry about being rejected by their peers or friends or fear that being alone means they are unpopular. However, the capacity for solitude blossoms in young adults, the researchers found. "These results increase our awareness that being alone can be restorative and a positive thing," said Thomas. "The question is how to be alone without feeling like we're missing out. For many people, solitude is like exercising a muscle they've never used. You have to develop it, flex it, and learn to use time alone to your benefit. "Solitude serves the same positive functions in introverts and extroverts. "Introverts just need more of it," noted Thomas. "Our culture is pretty biased toward extroversion," she said. "When we see any sign of shyness or introversion in children, we worry they won't be popular. But we overlook plenty of well-adjusted teens and young adults who are perfectly happy when alone, and who benefit from their solitude. Travelling Alone? Here Are 4 Must Visit Destinations For Solo Women Traveler's. "Both researchers encouraged parents to appreciate the benefits of solitude for their children. "Parents can help their children understand that being alone isn't bad. It doesn't mean nobody likes you," said Azmitia. "Solitude can improve the wellbeing of kids who are overstimulated. They can learn to regulate their behaviour, on their own, without being told to." "We need to build our cultural understanding that we don't have to be social all the time," said Azmitia. "Sometimes alone time is a good time."